The essential fundamentals of 3D animation for aspiring 3D artists3D is everywhere--video games, movie and television special effects, mobile devices, etc. Many aspiring artists and animators have grown up with 3D and computers, and naturally gravitate to this field as their area of interest. 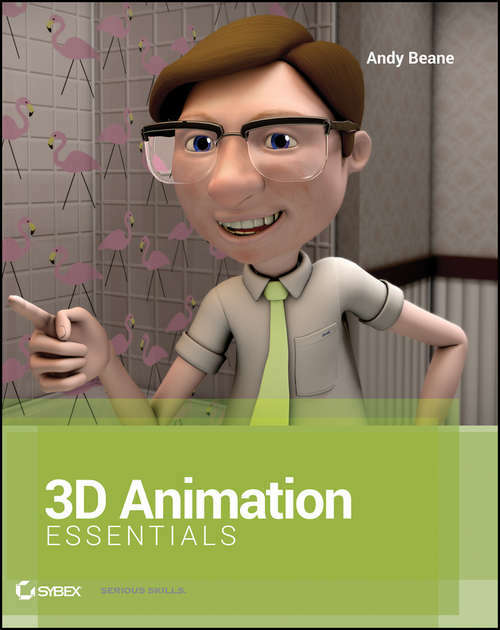 Bringing a blend of studio and classroom experience to offer you thorough coverage of the 3D animation industry, this must-have book shows you what it takes to create compelling and realistic 3D imagery. Serves as the first step to understanding the language of 3D and computer graphics (CG)Covers 3D animation basics: pre-production, modeling, animation, rendering, and post-productionDissects core 3D concepts including design, film, video, and gamesExamines what artistic and technical skills are needed to succeed in the industryOffers helpful real-world scenarios and informative interviews with key educators and studio and industry professionalsWhether you're considering a career in as a 3D artist or simply wish to expand your understanding of general CG principles, this book will give you a great overview and knowledge of core 3D Animation concepts and the industry. John Wiley &amp;amp; Sons, Inc.